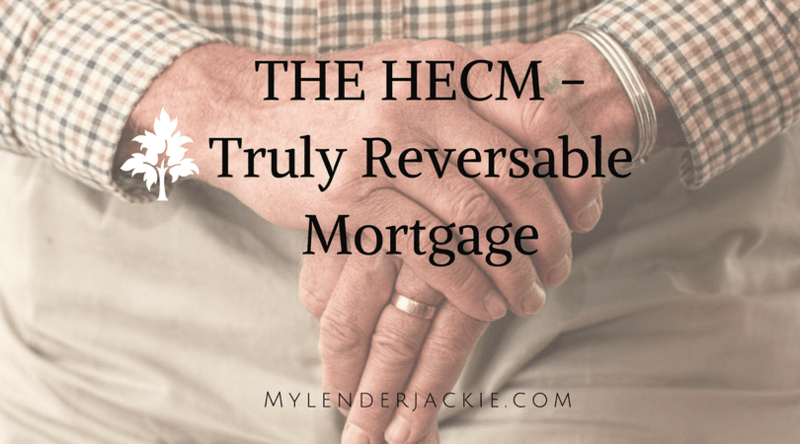 I’m serious… there are really no downsides to the HECM reverse mortgage. I know some of you are going to say, sure, I’m a loan officer, I’m naturally going to say that, but honestly, this program has got a bad rap and I’m not exactly sure why! It’s a great program and when you learn all the details, you might think the same. 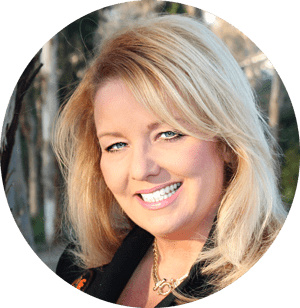 The HECM stands for the Home Equity Conversion Mortgage and it’s very similar to a reverse mortgage in that the bank pays you, not the other way around. Let me explain. The reverse mortgage has gotten a bad rap for being system that takes advantage of people in their retirement but it was actually designed to help those that have reduced income but higher expenses. It’s common as we get older for our income to go down while our expenses go up. This program eases that burden with some great benefits. Here are the most common questions and how it really works. The HECM was designed with those 62 and older in mind. It’s to ease the burden of expenses as we age. It was put in place by the federal government and it’s regulated by HUD (Housing and Urban Development) and insured by FHA (Federal Housing Administration). It literally was designed to keep people in their homes until they choose to sell or they die. It was a way for retirees to use their equity as NON-TAXABLE income and ease some of the burden of rising expenses. The loan also does not require any income verification like a traditional FHA loan. It can be used for manufactured homes, condos, and even up to 4-plexes as long as the applicant lives there. This is always a concern. You still must maintain payments on your homeowner’s insurance and property tax but if you tend to forget these things, there’s even a protection plan in place for that! It’s called LESA, which stands for Life Expectancy Set Aside, and it will come to your rescue if you feel you can’t faithfully make these payments. It will literally make them for you. It will take out a little extra on your payment each month to cover these things; kind of like allowing escrow to pay these fees for you from your mortgage payment. HECM is also unique in that you will usually incur mortgage insurance. But stay with me, because this is the truly unique part. If you exhaust your equity, this mortgage insurance will kick in and cover any additional costs. Let’s say you decide to use $350,000 in equity for payments. Unless you sell or die you will ALWAYS keep getting these payments, even if the home is valued for less than the equity you’ve taken. How can there be anything bad about that? The loan does not have to be repaid unless you or (inherited owner) sells, or you die. You will always receive your payments faithfully until one of those two things happen. I literally cannot think of a better set up. Do I have to pay taxes on that money? No. And just like a regular mortgage YOU own the home, not the bank. You are not under the thumb of a bank to keep the home up or at their mercy of being foreclosed on and you don’t have to pay taxes on that money unlike a retirement plan. And you can do whatever you want with that money. Of course, retirement years can be many or few so it’s important to budget your income that allows you to save as much as you can, but because you can use this money to pay for property taxes, insurance, groceries, emergency funds, medical expenses, or even a vacation from time to time, the HECM is truly is a great program. Have more questions? Let me explain your options and let’s see if this will work for you. I truly cannot think of a better program for homeowners after retirement. Give me a call, let’s talk about the possibilities of never making another mortgage payment again.